You can track all 16 currencies, but only trade Bitcoin and Ethereum, and only in 5 states. The zero-fee stock trading app, Robinhood, announced its plan to enable users to buy and sell Bitcoin and Ethereum last month. Now the company is making good on its promises. Starting today, Robinhood is rolling out access to trade the two cryptocurrencies in California, Massachusetts, Missouri, Montana and New Hampshire, with plans to expand to many more states later. If you're not in one of the states covered, you can still monitor and track market data for all 16 cryptocurrencies in the Robinhood app. 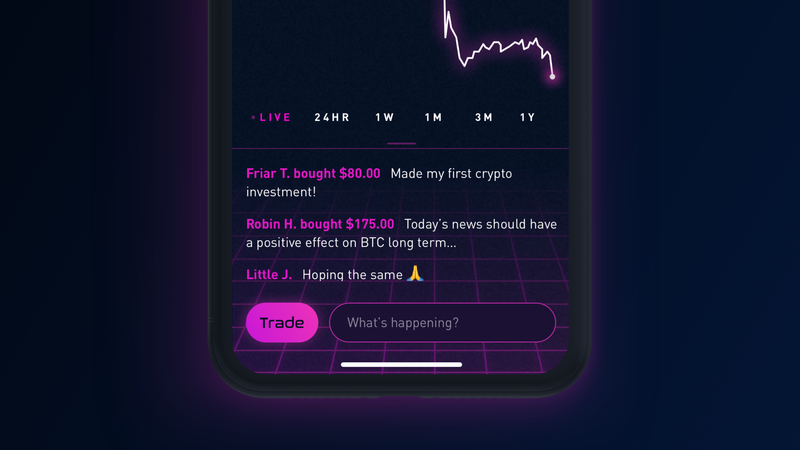 You'll also have access to a new feed, which gives users a way to talk about cryptocurrency, news and market swings in real time with other folks on the system. Robinhood Feed is only available to a limited number of people, however, so you'll need to update the app to see if you're one of them.